The upcoming weekend finds me traveling back to Vermont for the first time since we moved to the Midwest two years ago. 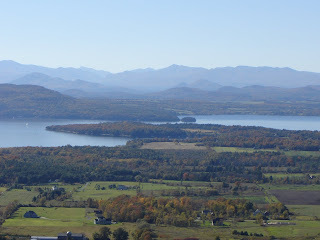 My somewhat nomadic lifestyle left me in Vermont far longer than any other place I have called "home" over the years. I left readily; Lot's wife and I have little in common. And yet, the thought of New England air sends me looking back fondly. I picture rolling green hills and lakes clean enough for swimming. I feel the magnetic pull of the stretch of meadow at Fays Corner in Richmond and the early morning mist over Lake Champlain. 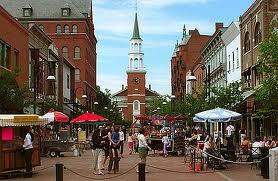 My feet itch for a walk along Burlington's Church Street, past the usual crowd of 21st century New England hippies. We will have just missed the Jazz Festival on the waterfront, but perhaps we can stop by the Ben & Jerry's scoop shop for a double scoop of Chocolate Fudge Brownie and Cherry Garcia (frozen yogurt if I feel like being healthy, ice cream if I feel like walking on the wild side). I find myself picturing favorite spots with layers of memories. For instance, I remember shopping on Church Street 25 years ago. I was a young college student, playing my way through the summer as the maitre d' at a country inn on North Hero Island. With a day off and my roommate's car, I drove in to Burlington to soak up the summer crowds along the cobblestone street of the marketplace. Seven years later, I returned to Church Street. I bypassed What Ale's You and the Skirack this time in favor of street vendors and the Discovery Channel Store. Along with my two-year-old son, we embraced life with gusto. Devin turned heads with his blond curls, his movie star sunglasses, and a heart-stopping smile. We paused to climb every boulder between the Unitarian Church at the head of Church Street to Sweetwater's Restaurant near the bottom. Over the next eighteen years, we returned to the cobblestones on frigid New Year's Eves for the annual First Night Dancing Dragons Parade, on humid summer afternoons for Italian sausage from Bookie's street cart, and occasionally for sumptuous desserts at Leunig's Bistro. 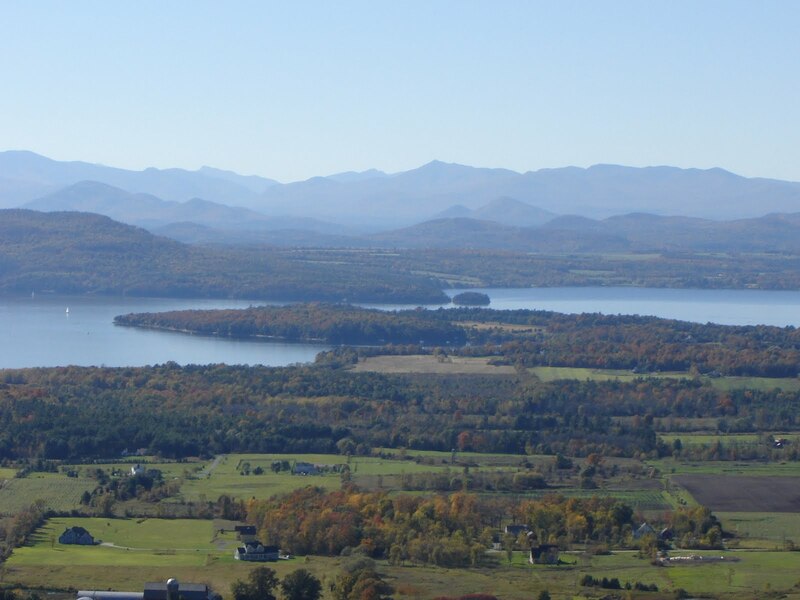 I miss the feel of Vermont, from the taste of the air on the first full-blown summer day in June to the unapologetically tree-hugging politics. I miss the bluntness of native Vermonters (although one has to search harder and harder to find them these days) and the eccentricities of my fellow church members there. I miss the music, from Mozart on the shores of Lake Champlain to the hot summer day we spent at the Vermont Reggae Festival in a rolling meadow up north. I dream of a day beginning on the Sunset Ridge trail on Mount Mansfield and ending in the charm of a tiny theatre in Waitsfield. July will find me once again contentedly roaring past endless cornfields on the motorcycle and anticipating the glory of Friday night football underneath the lights. For this slice of early summer, however, my heart returns to an earlier home. You have such a great memory for details! Makes me want to go discover Vermont - and pick up some syrup! Thanks for the nice compliment on my blog--it means a lot from someone who has known me for 34 years!